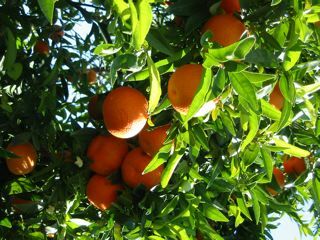 This has been the wettest winter that we’ve seen in Cyprus. After a relatively mild December the heavens opened and it feels like it hasn’t stopped raining since. It’s possible that we, living in a house with no internal stairs, feel this a little more than others. It’s certainly true that our move from the municipality of Aradippou on the coastal plain up to our tiny village in the Troodos foothills has made a huge difference to our local weather. Summers are cooler and the air is fresher but winters are colder, occasionally seeing snow, and there is significantly more rain. The only heating in the house is from the open fire in the living room and this winter we’ve been working our way through a significant amount of logs. Even with the fire burning each evening the temperature in the living room rarely gets about 14° degrees (mid 50sF) and the upstairs which has no heating at all has been below 10° degrees (high 40s F) some evenings. The rain (and thunderstorms and gale force winds) have been much talked about amongst the expat community. With each severe weather warning and subsequent torrential rainstorm questions have been raised about how full the dams might be and if it was possible that this year they might overflow again. 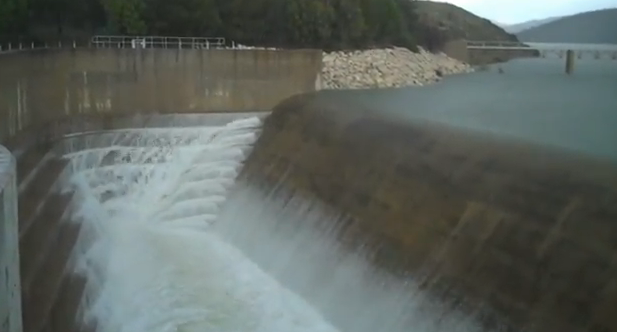 Today Asprokremmos dam, the second largest on the island, did for the first time in seven years. CONTINUING rainfall caused the Asprokremmos dam, the second largest on the island, to overflow yesterday. With a capacity of 52.4 million cubic meters, Asprokremmos last filled back in 2004. 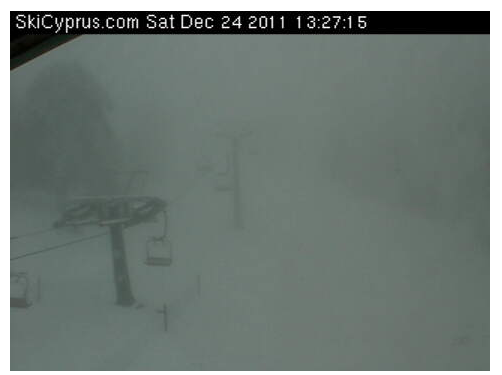 Reports said local residents were preparing to fire up their barbeques in celebration. A Paphos expat was on hand to record the occasion; his video is available here. We are big fans of having a freezer full of building blocks ready for use. Sliced and frozen lemons, berries for morning smoothies, herbs which have been washed and frozen and are ready to drop straight into a dish. These are all things that save us time, and often money. A while ago we realised that whilst we often cook with garlic or ginger or chillis there are times when we buy them and don’t get around to using them as we intended and therefore things sometimes go to waste. We solved the problem with the garlic: instead of buying a head of garlic and using it a clove at a time we took to buying three or four heads at once and processing them all at once then freezing them. It doesn’t take much longer to prepare a dozen cloves than it does one or two but there is no extra cleaning up and no more garlicy-scented hands. Whole cloves of garlic freeze fantastically and defrost in less time than it takes to chop an onion while ginger, if it is peeled and cut into single meal chunks, can be ready in a few minutes. Having got into a routine of buying garlic and ginger every month or so and preparing them for the freezer it occurred to us that quite often we use both together and about half the time if we are cooking with garlic and ginger we use copious amounts of chillis too. 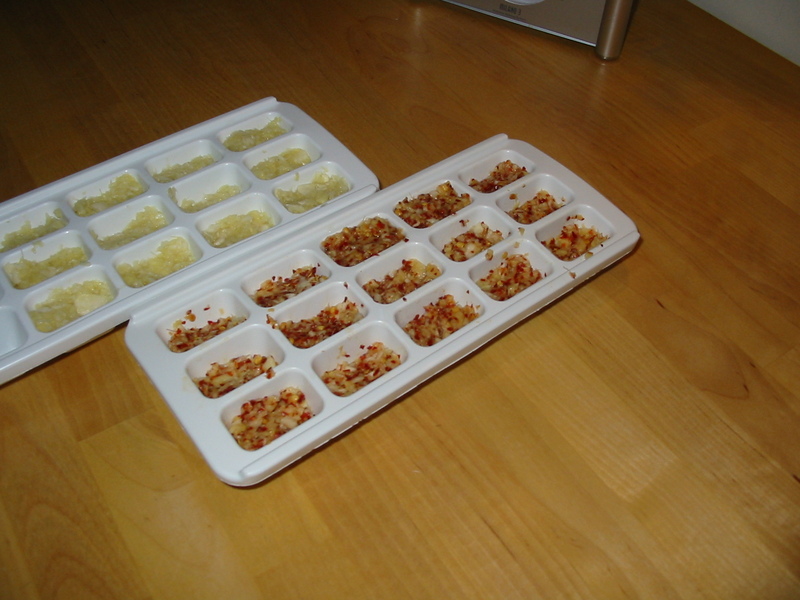 And so the idea of the freezer spice cubes was born: instead of preparing garlic ready to be used and preparing ginger to be used straight from the freezer could we go one step further? When we make these we’ve found that one cube is about the equivalent of one clove of garlic and a corresponding amount of ginger. If you use dried chillis (buy them in bulk when you come to Cyprus as they are absurdly cheap here) then you can make the cubes as spicy as you want. These are best made in an ice-cube tray that isn’t destined to be used for making real ice-cubes, unless you don’t mind ginger tasting gin and tonics after dinner. New freezers always seem to come with a spare tray so we keep one specifically for the purpose. You can reduce the chance of the tray becoming tainted with the spice flavours if you wipe it out with a little light cooking oil before you start. Since we started doing this we have massively increased the amount of garlic and ginger we use, and with hardly any wastage. On Thursday we stopped by the post office … and found that the mailbox was full to the gunnels. Not only were there parcels and cards and the ubiquitous bills but also a note to indicate that there was even more post waiting inside the post office itself. We’re still missing a delivery or two and we’ve had very few cards compared to normal but the bulk of our presents are here. When we got home yesterday afternoon we spent a happy hour opening the new arrivals and enjoying the contents. There is still widespread discussions about missing post and both sides, the Cyprus Postal Service and Royal Mail, continue to blame each other. 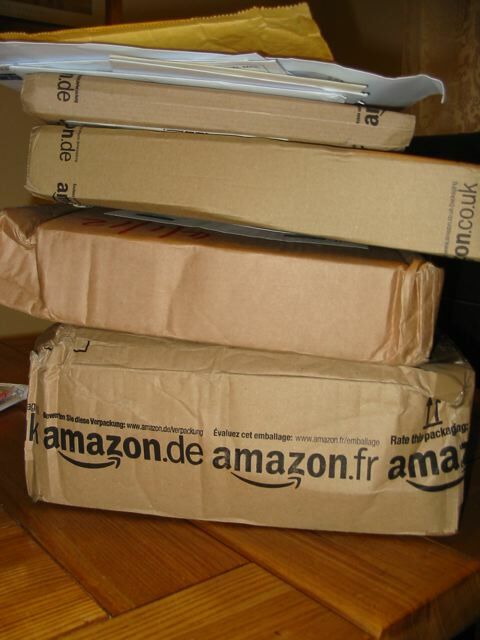 We’re just happy to have finally received things which, in most cases, were posted in the first few days of December. While these days are so short we try and get out and about before the early winter light fades. The weather is likely to be cold and wet in January and February so it makes sense to capitalise on the clear and bright days when they appear. Yesterday we wandered around our little village for a while enjoying the sunshine, chatting to tourists and taking a photo or two. Whilst it was glorious at middday, by 3pm the sun was starting to drop behind the hill and it wasn’t long before discussions about lighting the fire started. 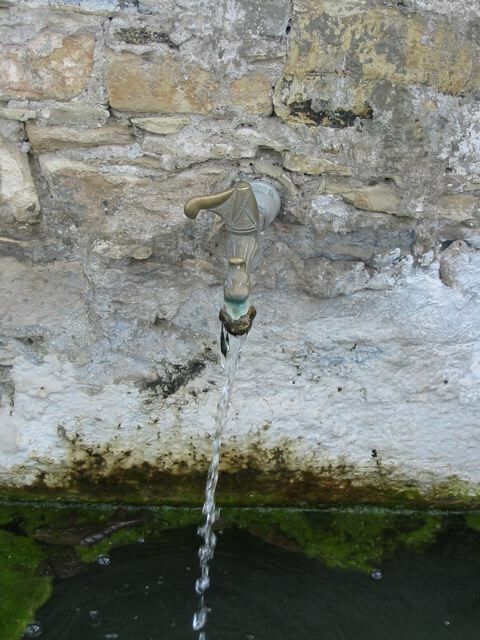 On our wandering we stopped by the village spring; the spring water is always beautifully clear, if very cold, but we’d never noticed before that the tap is in the shape of a dragon’s head. 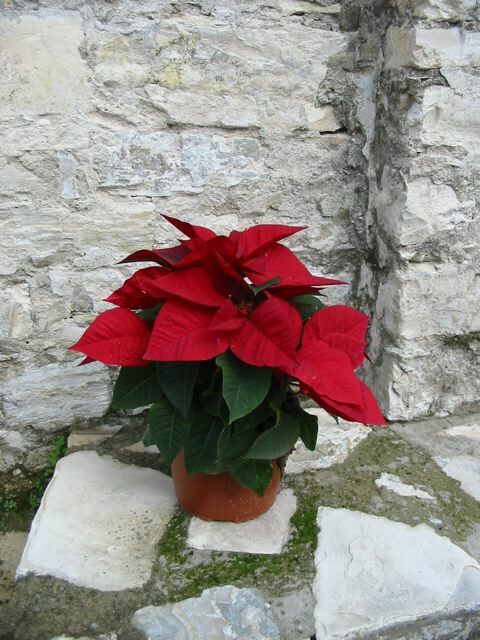 Nearby somebody had placed a whole run of pots of poinsettias which looked pretty against the local limestone wall. 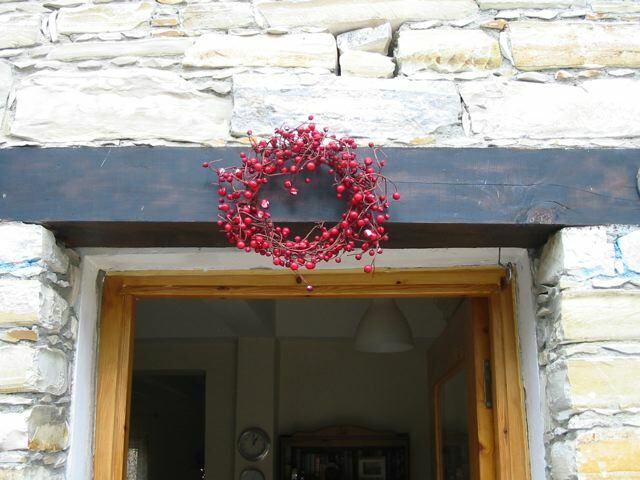 Back home we grabbed a photo of one of our Christmas wreaths, suspended from the huge lintel above the front door. 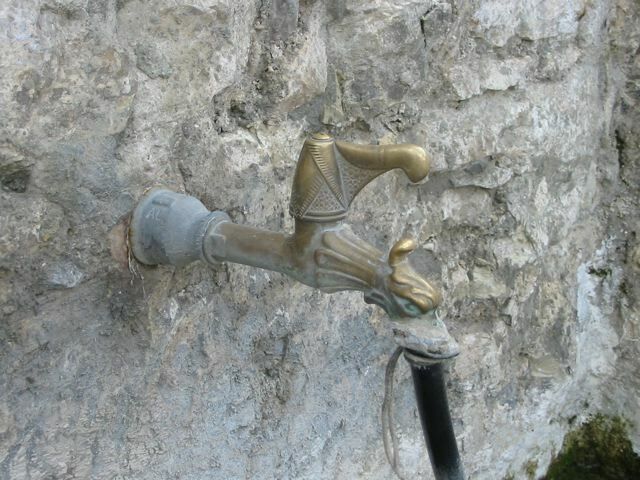 This year there seems to be an island-wide issue with post from the UK and continental Europe. 90% of the Christmas cards that we’d expect to receive haven’t appeared; orders placed online in early December, intended as presents for each other, are missing; presents from family and friends in the UK have not arrived. This isn’t an isolated problem: many of the Cyprus online forums have ongoing discussions about missing post. Our lovely, if slimline, local tree bought courtesy of the local Forestry Commission, looks really rather lost without any parcels underneath. Our best guess is that we might expect to see things arrive in the second week of January, after the Christmas and New Year and Epiphany holidays. On the positive side we have a beautiful rib of beef ready to cook and piles of books to read and enough logs to see us through to the new year. Not the holiday we’d planned but we’ll make the most of it and throw another log or two on the fire and perhaps in time we can chuckle about 2011 being the Christmas-of-no-presents. Village elections are taking place this month and in a village of little more than 100 adults our two votes could be important. Or so claimed the mukhtar of the village some months ago when he asked if we were registered to vote. Ummm, no, never felt the need before, was our answer, and anyway it’s not a straightforward process for us expats. As a man seeking re-election, in turbulent village times, he offered to help. He, he said, would personally deal with all the paperwork and arrange for our voting cards to be issued. A day or two later he appeared at the gate with a handful of forms to complete and a request to see passports and for a handful of passport-type photos. He took the forms, copies of the passports, the photos and a copy of our house purchase contract and our title deeds, and headed off to the appropriate office. A day or two later he re-appeared. The office, he said, wants more information. Did we perhaps have our pink/yellow slips handy? We did so copied them both and handed them over. A week later he was back again. The office wanted to see our yellow/pink forms rather than pink/yellow forms. Did we have those? We didn’t. For a moment he looked deflated. The only other thing they will accept is birth certificates and I know you won’t have those, he said. Hah! There’s a man who doesn’t know our filing system; two minutes later he had two photocopied birth certificates in his hand. Armed with more paperwork than a competent identify fraudster reasonably needs he headed off down the hill to wherever the voting-card-office was and that was the last we saw of him for several weeks. As the election approached and he didn’t re-appear with the voting cards we decided that either he’d found the process too tiresome to continue or that he’d realised that he didn’t need our votes. How wrong could we be? Last Sunday morning the phone rang. Were we up and dressed and decent? The mukhtar asked. If so he was outside our gate with the voting cards in hand. The question about us being up fit to receive company was reasonable: we have a reputation for being sleepyheads. Being suitably attired, Ian headed down to meet him and collect the cards. From the look of sheer delight on the mukhtar’s face we can only assume that locals find the bureaucracy wearing at times too. And this in a week when a piece of research established that Cypriots know that getting things done depends more on who you know rather than being able to meet published criteria. So, we’re good to vote which puts us a tiny majority compared to other expats. 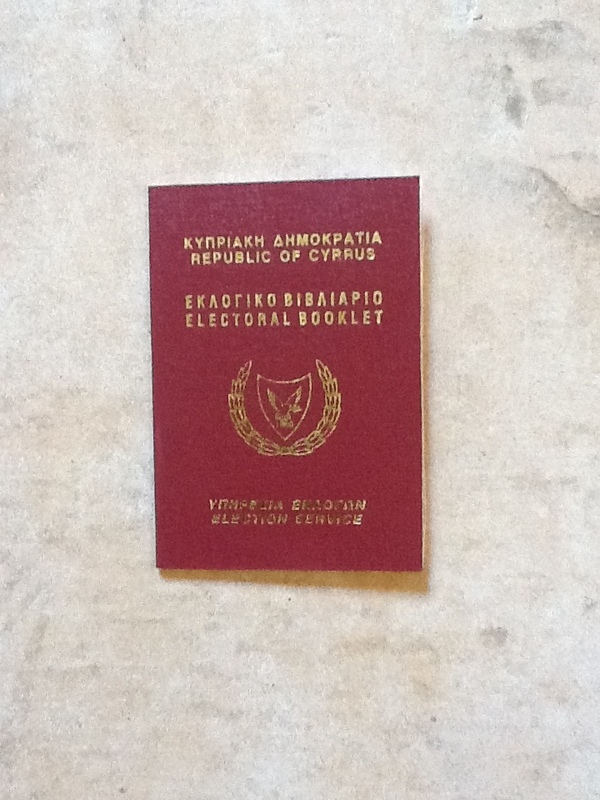 Very few expats go through the process of getting voting cards, though there’s only anecdotal information why. Too difficult, uninterested, too bureaucratic? Who knows. What we now know is that, even before our voting cards were issued, we unwittingly changed the face of this village election. The mukhtar is standing unopposed: his rival decided not to run when he heard that we were going to be eligible to vote. Since we don’t even know who he is we are baffled, but then that isn’t an entirely unusual state of affairs for us in this village! You are currently browsing the archives for the Cyprus category.